The Developer, Yarmadillo, was a joint venture established by Kantel, invloving the SDA and the City Council. 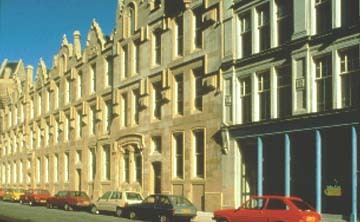 The Merchant City was not regarded as a residential area at the time this project was being built and sold. 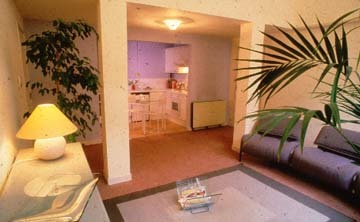 In fact, Ingram Square became the flagship in the regeneration of the Menrchant City, providing virtually a complete urban block of housing, both new and refurbished, as well as commercial accommodation. The design was undertaken by Elder and Cannon Architects, their first large commission, commencing a long working relationship with the Burrell. Of some conisderable significance in the history of regenerating cities, and architecturally a stylish part of Glasgow's drive to be taken seriously in design, this project marked the final act of the original Kantel, Nessrs, Burrell and Doolan split up during its construction, but jointly ensured that the venture achieved all its high aspirations.